Samsung has sent out media invites for the Galaxy Note 8India launch for September 12, the same day Apple is expected to host the global unveiling of its next flagship, iPhone 8. The Samsung Galaxy Note 8 India launch will be held in New Delhi at 12:30pm IST. While the Samsunginvite does not explicitly state which model will be launched, the GIF image and the tagline of the invite – ‘Do Bigger Things’ – pretty much confirms it will be the new Note model. 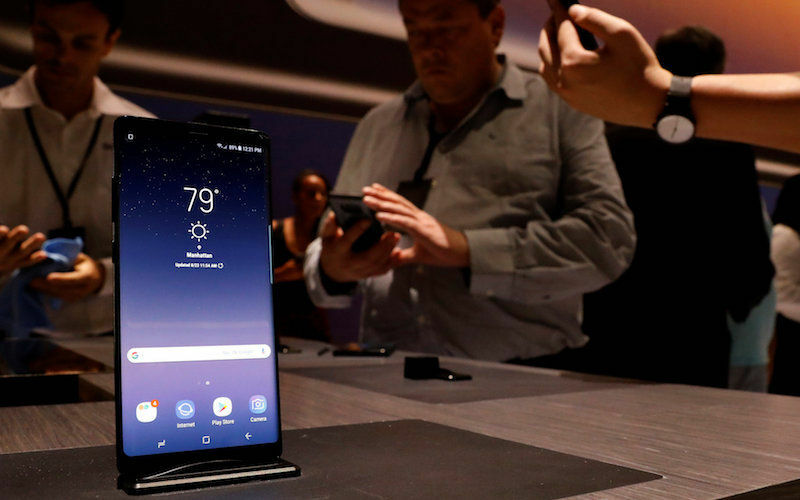 The GIF shows an outline of the Galaxy Note 8 with narrow bezels and the company’s S Pen that sketches an image of people from different cultures within India. Interestingly, the company has also mentioned its own ‘Make For India’ initiative in the invite as well. To recall, Galaxy Note 8 comes with a 6.3-inch Quad HD+ AMOLED Infinity Display with resolution of 1440×2960 pixels. The smartphone is powered by Qualcomm Snapdragon 835 SoC, however India will most likely be getting the Exynos variant of the processor. In terms of optics, the Samsung Galaxy Note 8 comes with dual 12-megapixel rear cameras with optical image stabilisation (OIS) on both the f/1.7 wide-angle lens and the f/2.4 telephoto lenses. At front, there is an 8-megapixel camera, also with f/1.7 aperture. Notably, the pre-registrations for the Galaxy Note 8 were already open on Samsung’s Indian website but the company will be announcing the pricing at the launch event itself. In a recent durability test, Samsung Galaxy Note 8 performed rather well. The display should not be scratched easily due to the screen’s Corning Gorilla Glass 5 layering that starts scratching at Moh level 6 hardness. While the fingerprint sensor was easy to scratch, it continued to function properly. Even the S Pen stylus continued to work smoothly after it was scratched. As for the fire test, the display worked for 10 seconds before being permanently affected.